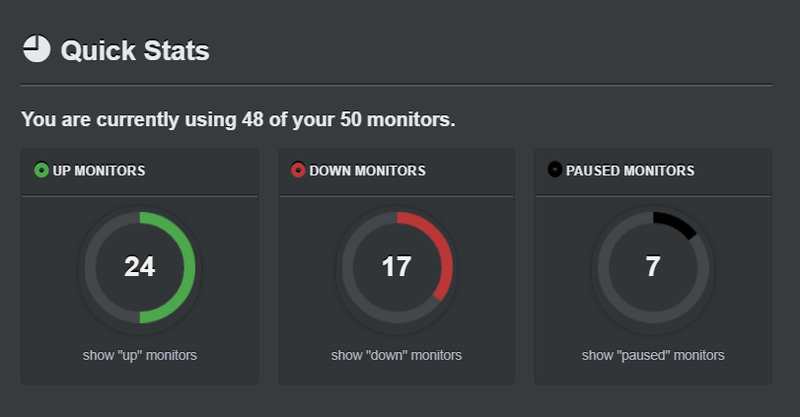 50 Monitors, Checked Every 5 Minutes, Totally Free! Ignore minor downtimes by setting "alert once (or every x minutes) if down for y minutes"
Perform almost every task with the REST API. Check the docs. Share the stats with your teammates and/or visitors (demo).